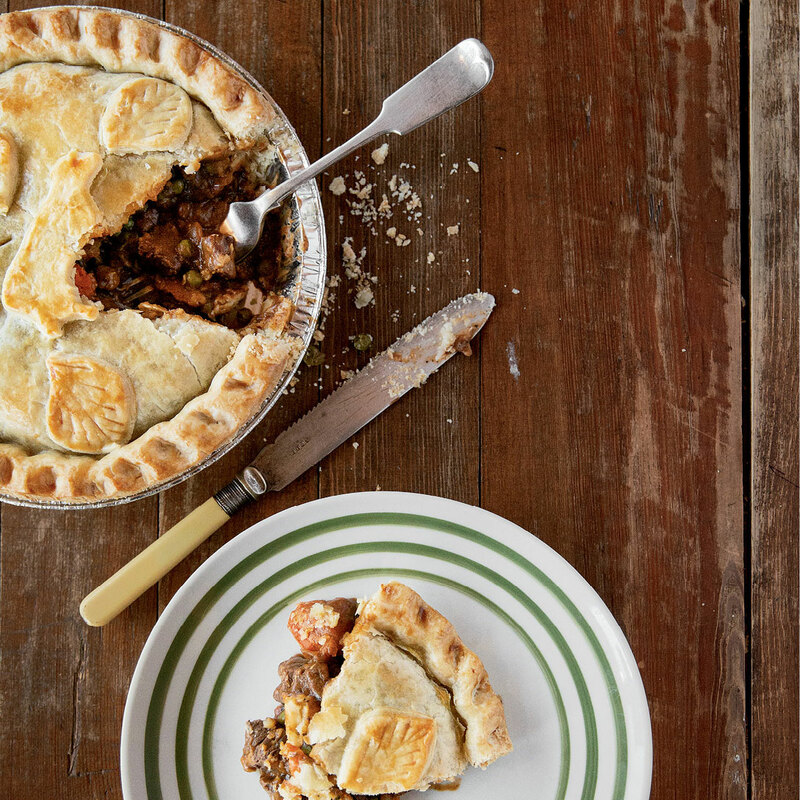 Ask Dominic Geraghty, chef-owner of the restaurant and bakery Eat Crow in Foscoe, what makes his savory Steak & Ale Pie so good, and he’ll tell you plainly, “I’m British!” He jests, but he certainly knows his way around the English classic. Beef chuck is key, thanks to its fat content, as is the right ratio of shortening to butter for the perfect pastry. Dominic knows how to whip up a great dessert pie, too: He and his wife, Meryle, offer more than 20 sweet pies and tarts on their bakery menu, from cherry to chocolate cream, as well as cakes. They also serve a variety of sandwiches for lunch using bread that’s fresh-baked daily. Eat Crow also hosts dinners twice a month and stocks frozen to-go items, like soups and their Steak & Ale specialty, which you can try out at home for a quick warm up this winter.